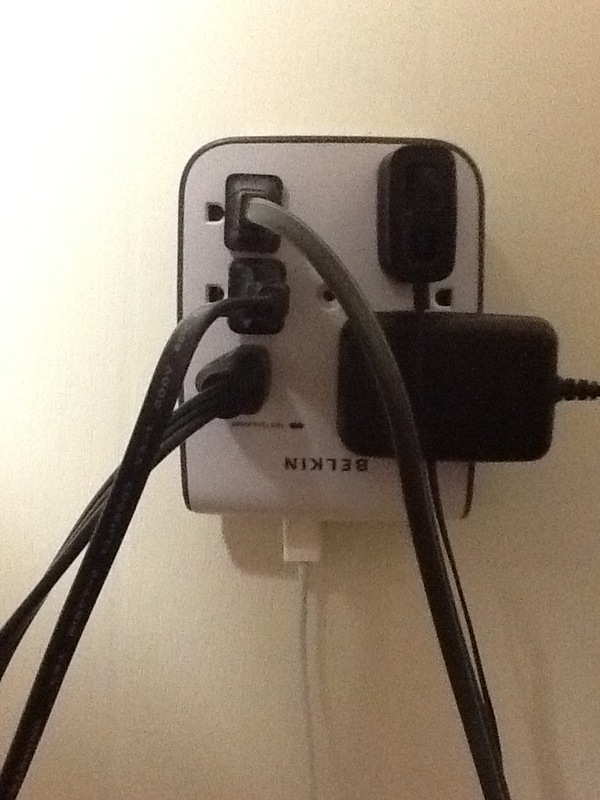 I am currently recovering from a much longer trip than the one on which I purchased this combo multi-outlet. It’s been a lifesaver. In this photo, it is recharging an iPad, two cell phones, a laptop, a video camera, and a still camera. Due to the bricks that the cell phones use, the power outlets are full, but that’s still six devices charging, with an empty USB port for the iPod if needed. A lot of outlets in houses seem to be upside down. I wonder why that happens? In response to Belkin 6-plug, 2-port wall brick and USB charger: I picked this up in Target in Round Rock for about $20 and it immediately became invaluable. It takes over a standard two-plug wall receptacle and turns it into six plugs and two USB ports. These aren’t the bookstores people travel across the country to visit. But if you’re already traveling across the country, you’ll want to take advantage of the opportunity to visit them. From San Diego to Louisiana and back in a Lincoln Town Car. I picked this up in Target in Round Rock for about $20 and it immediately became invaluable. It takes over a standard two-plug wall receptacle and turns it into six plugs and two USB ports. Still-life with electronics last modified June 11th, 2012.